I post about such breakthroughs in the hope some of them will make it to market at a reasonable price. This one's looking good as far as performance and mileage go. There's no mention of price in the article. Wheels that “think” are being added to an electric Mini with blistering performance developed by British engineers. The “smart” wheels sense road conditions and modify the car’s performance accordingly. Artificial intelligence (AI) will allow the wheels to communicate with each other and “learn” from experience as the car is driven. 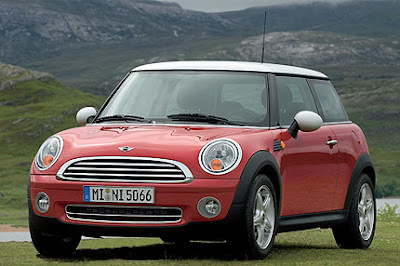 The Mini Cooper, an early version of which was exhibited at last year’s British Motor Show, is powered by four wheel-mounted electric motors that together generate 640 brake horsepower. As a result, the electric car performs more like a Ferrari than a milk float, with a top speed of 150 mph and the ability to accelerate from 0-60 mph in 4.5 seconds. A small 250cc petrol engine charges the car’s battery while it is being driven, giving it a range of 900 miles and fuel consumption of 80 to 100 miles to the gallon. I seem to remember that Honda will stop making or suspend their hybrid here in the US, because sales aren't doing well. Except to buy a hybrid, the cost is approximately $4,000 more for the comparable gas powered car. when I heard this report (a week or two ago? ), I thought Honda should have lowered their price, start a price war between them and Toyota. Besides benefiting the earth, it would benefit those that otherwise couldn't afford the hybrids as they are being sold now. Companies find these novel ideas, but price them out of range for many people. thus, when the item doesn't see well enough, they choose to take the item off the market all together. In case you missed it, check out the Volt.